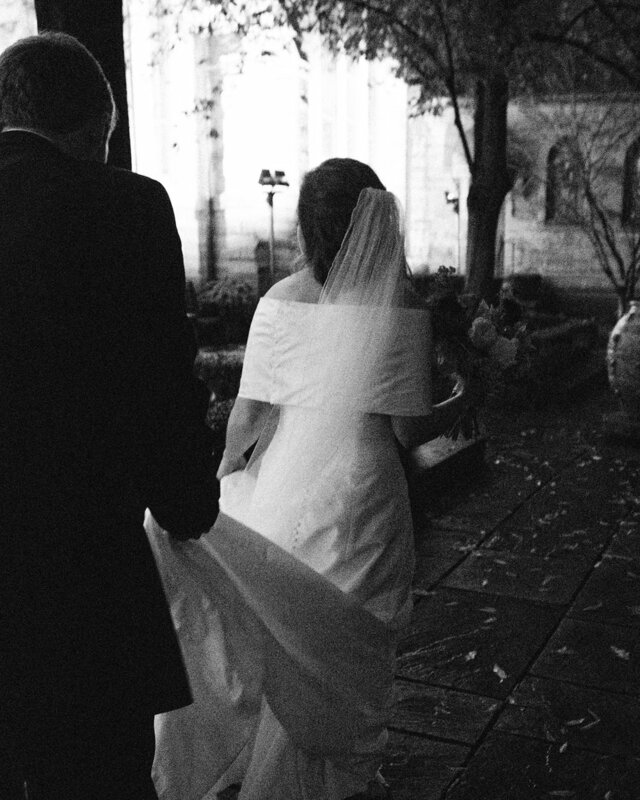 Wintertime weddings are becoming some of our favorites! Being in the South, we love when the weather gets a little cooler and we get a break from the oven that is Southern heat. 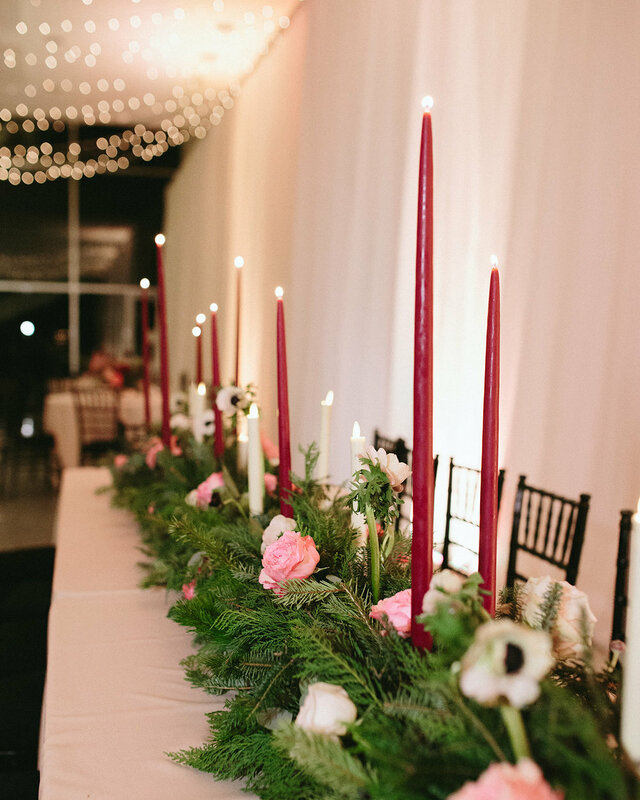 There’s something about having a wedding in the winter around the holidays that just makes it even more festive! Kelsey & Peyton were married in December at the Cathedral Church of the Advent and the reception following a the Birmingham Museum of Art. Kelsey loved greenery wreaths, so a big part of our design plan was a floor to ceiling (with some very tall ceilings!) drapery wall with wreaths hung by velvet ribbons. It was stunning and the perfect backdrop to her beautiful and delicious wedding cake. Peyton’s birthday was actually the day after the wedding. What a big weekend for him, right?! So we conspired with Kelsey to surprise him with a birthday cake on the dance floor while the guests sang ‘Happy Birthday’. It was a night to remember for sure! Much love to the happy couple from the HBD team! 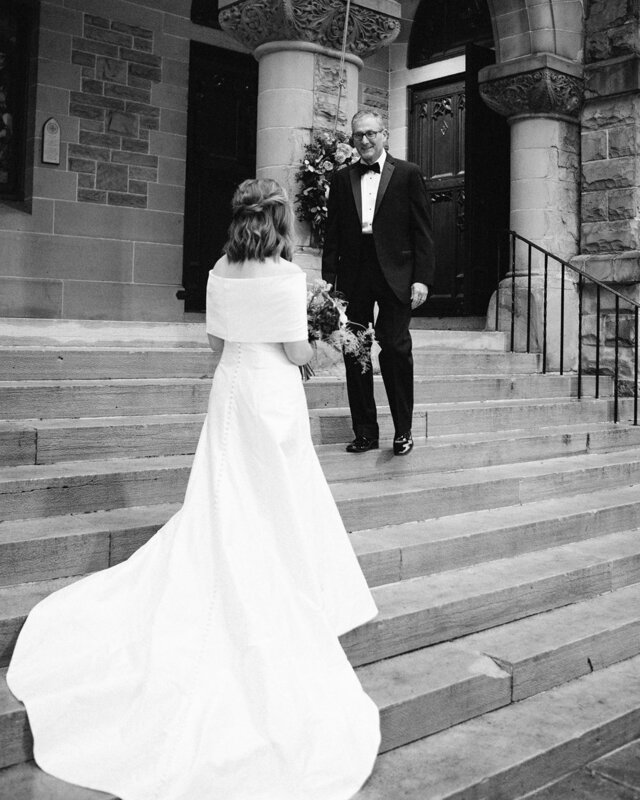 Kelsey had a special moment with her father outside of the church. Kelsey and her ladies got ready for the day at the Tutwiler Hotel in Birmingham. Her bridesmaids wore striped PJs as they got ready and looked adorable. Kelsey and Peyton stole a moment away to be alone in the museum. 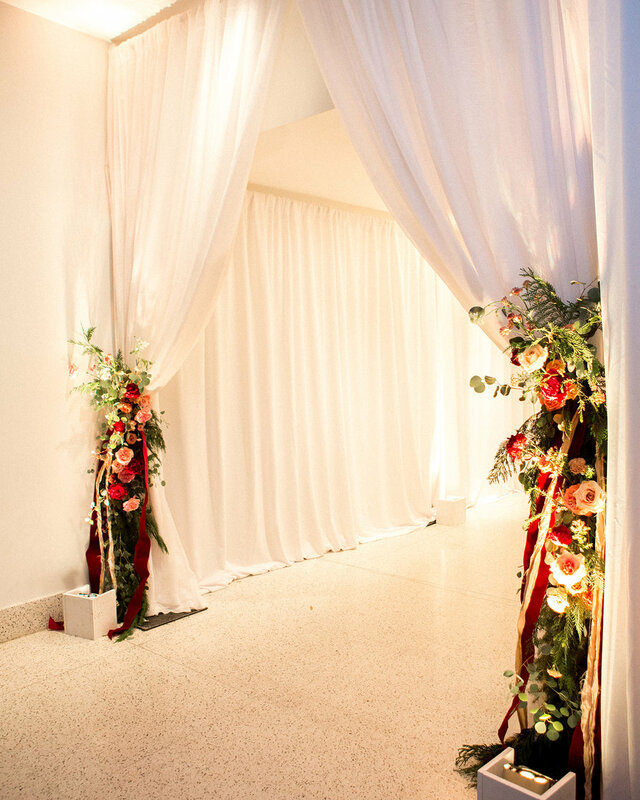 The Birmingham Museum of Art was transformed with drapery and flowers that created such a beautiful space. Of course the Santa hats had to make an appearance for the night! Kelsey and Peyton wanted their exit to be something that they would remember and that is exactly what it was! Fake snow was thrown as the happy couple left their reception. How fun is that?! Cheers to the most fun winter wedding!